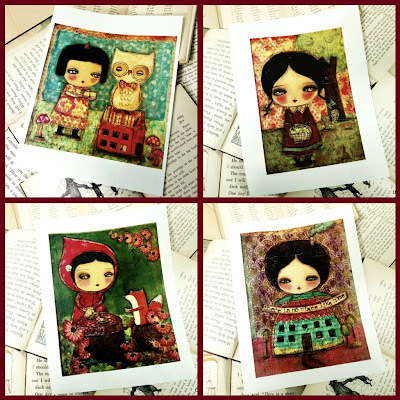 New Frida Paintings and Autumn Prints! 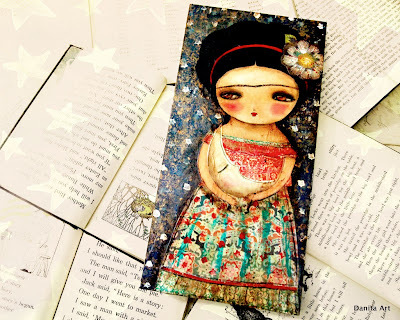 Today I wanted to show you my latest Frida paintings, but first, let me thank you for all the comments you left here and in my Facebook about the new me. Today was a specially rough day and reading all your comments and support made it easier. I've been sending my new art lately through my newsletter mainly, but this time I decided to post my new two Frida paintings here first. This one is titled "Viva la Vida. Viva la Frida" and it's full of color, texture and patterns. It's like the whole painting is screaming it: Viva, Viva! The second one is a bit more subtle and in a different mood. It's titled "Arrullo de luna" which means something like "Lullaby for the Moon" and it has deep blues and iridescent colors. Frida's face is more tender and the whole painting has a different feeling, more melancholic look. Both of them will be available at my shop, as well as prints of my other newest autumn paintings (which are all sold, thank you very much!). The new prints will look lovely in your walls, specially if you decoration has deeper colors or if you change it through the seasons. They're so autumn-y! supercute! I love these prints. 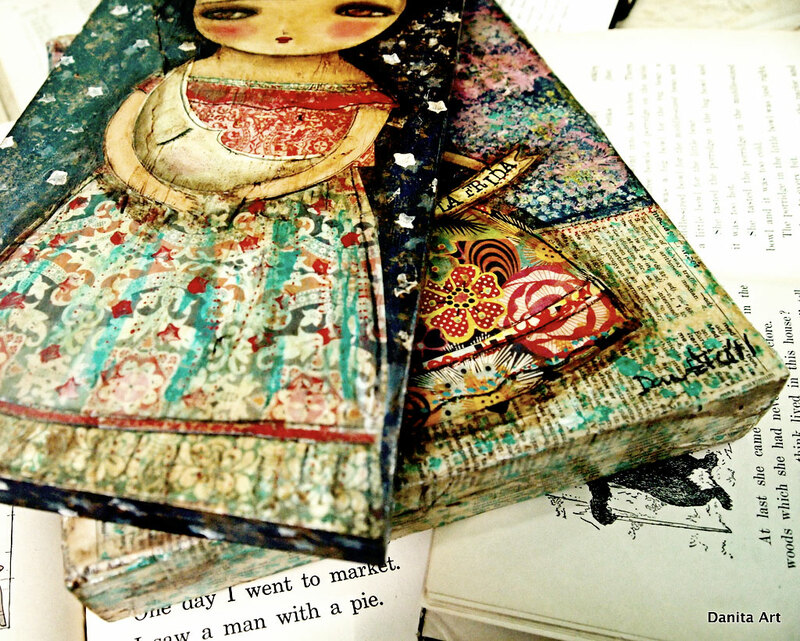 I rarely like "cutesy" things but your work really makes my eyes and brain happy. NOt sure if it is all the texture you add or the colors or the girls themselves. Love it all. These paintings are wonderful!!! I like colours and her sweets faces. 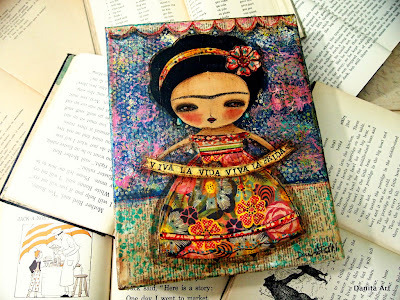 I love Frida!!! She was a big artist like you. These are gorgeous! I particularly love the Viva viva one. You are so clever!